Payment company TSYS did a study in 2016 about U.S.consumer payment preferences. They found that shoppers prefer to use debit or credit cards for 75% of all transactions. If you sell goods at a farmer’s market, pop-up shop, or craft fair, you’re likely aware that fewer people carry cash. Accepting credit or debit cards is an easy, affordable solution to our increasingly cashless society. It can increase the amount of people who can purchase your goods or services. The card processing company will provide you with a card reader after you set up an account. If you’d like more information about how RPS can help you, read more here. Or submit an inquiry form and they’ll reach out to you quickly. 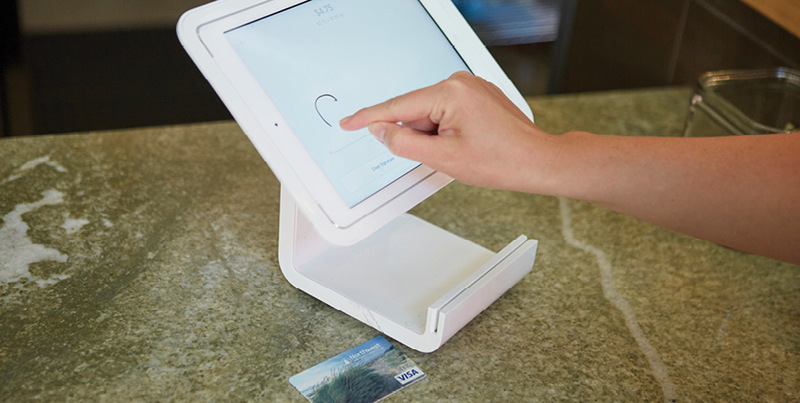 Other popular card processing companies you may have heard of are Square, Stripe, Clover Go, and Spark Pay—these also offer card readers. Once your card reader is set up, it’s easy to take payments! You’ll receive the money in your account soon! Card processing companies may each process payments differently, so make sure to ask the ones you’re looking at how quickly the money will be in your account. We know that being able to accept cards is an important part of business. No matter how big or small, your profit is important to us and we will work together to find ways to improve its growth. Please feel free to contact us for more information by calling us at (800) 452-9515, visiting our branches, or submitting an inquiry form to Retail Profit Systems (RPS) to discuss your interest in their products and move forward in getting your own card processing system established.